The Galaxy Note is one of those devices you just can’t forget about, and it’s Samsung’s one of the best-selling devices ever, with around 7 million units sold so far. It’s been around for a long time now, and it seems that we will see its successor soon. 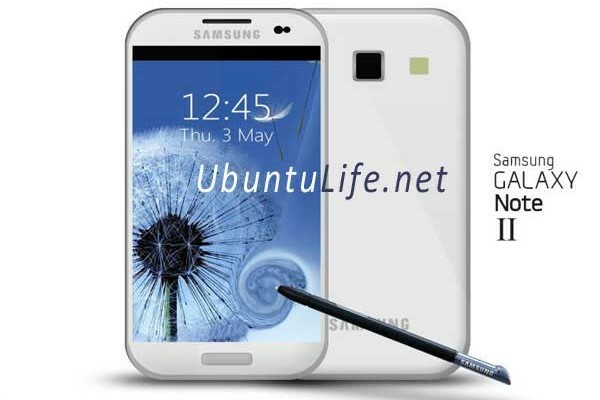 Word on the street is that Samsung will be launching the Galaxy Note II in October, and the original version was launched last year in October, so it seems legit. While the picture above is just a mock-up, we got some words about the specification of this upcoming monster. According to UbuntuLife.net, it will be rocking a 5.5-inch Super AMOLED display with even higher WSXGA+ resolution (1680 x 1050 pixels). It’s rumoured to feature an 8MP camera, 1.5 GB of RAM, and the new Exynos 5250 chipset, along with a dual-core ARM-15 processor. 4G connectivity will be available in all international versions. That’s all we know about this upcoming big boy. Tell us: what are your thoughts about it? Do you think it will be a true market shaker? Hit up the comment box below and let us know.